Montana newspaper editor Roberta Donovan and Cascade County Deputy Sheriff Keith Wolverton write about cattle mutilations, UFOs, and other phenomena in Montana. Published by the T.H.A.R. Institute, Raynesford, MT in 1976. 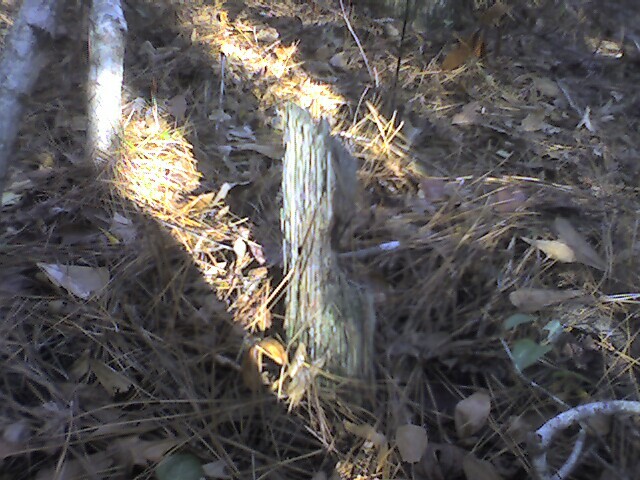 This is an image of one of several hand-carved wooden grave markers we discovered in the forests of Brunswick County. 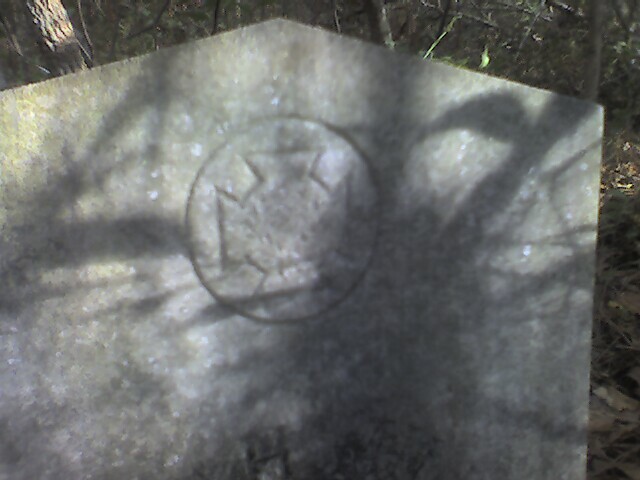 Among the rare remaining wood grave markers are two head stones made of carved a light colored rock. 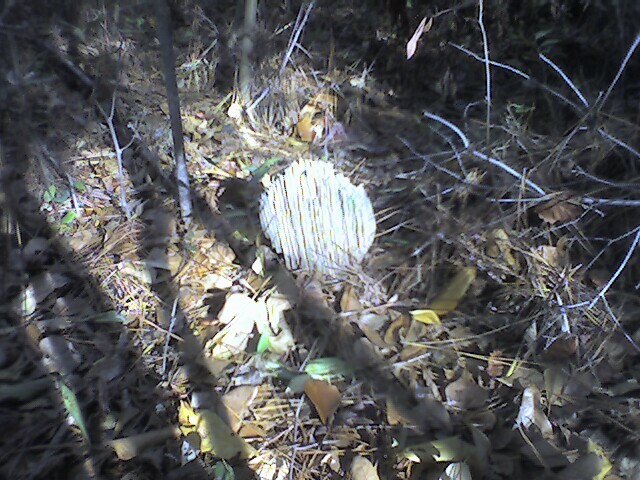 The woods are thick where the dead now lie here. Ancient pine trees trunks grow rudely from the center of some tombs. 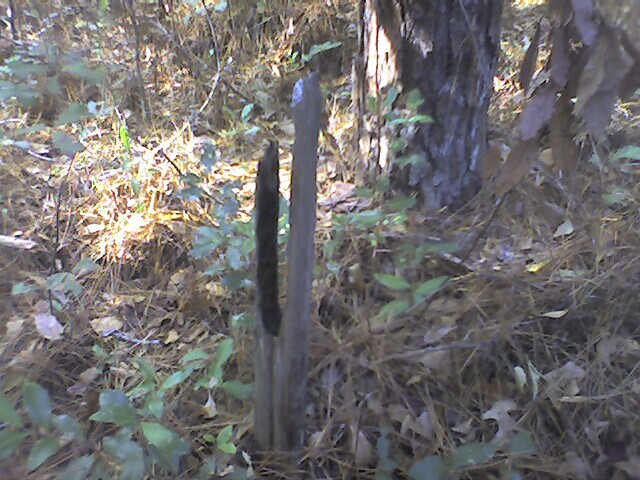 This spot is a long-lost memorial we hope to preserve. (The exact location of these rare carvings will remain secret until we assure the conservation of this historical location).